During this season where everyone is rushing to the malls, trying to figure out things to buy for the people on their Christmas list, I decided to stay at home and make little things which I can give to people who are special to me. I don’t know about you, but I love receiving hand-made gifts. These gifts represents thought and time the giver has invested to please you. 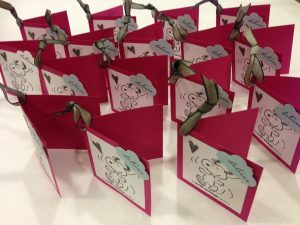 I want to share some little gifts I made. 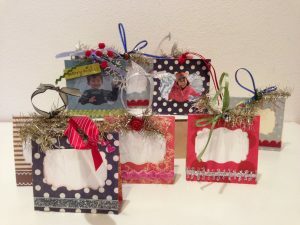 I used pieces of left over scraps from my paper collection and made these adorable mini-photo frame tree ornaments. The receiver can insert their favorite photos and give them as gifts or hang them on their own tree. 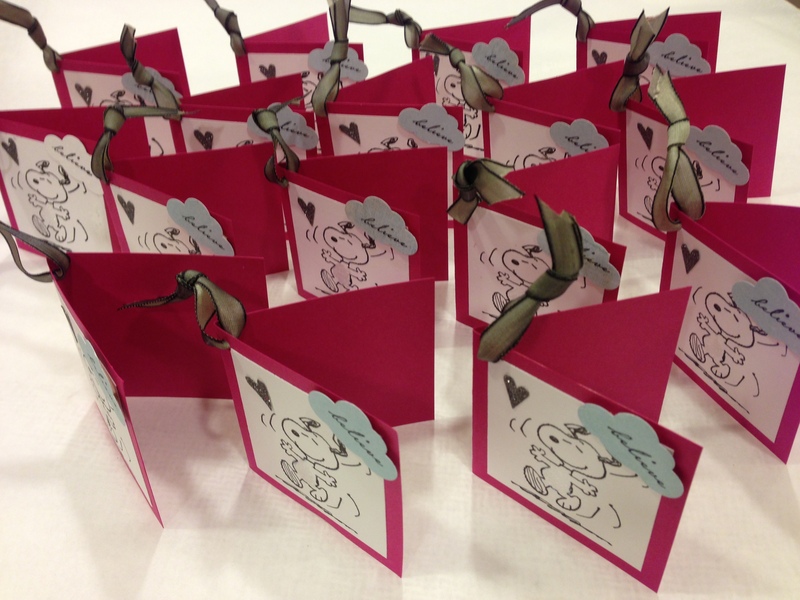 I used my favorite Snoopy stamps to make these holiday tags. I like them because they can be used for men, women or children. 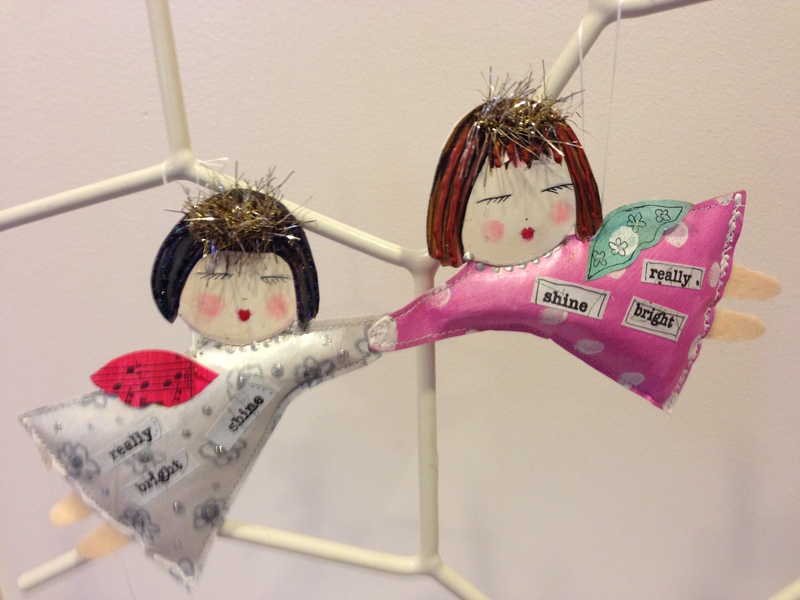 These angels were so much fun to make. I used brown grocery bags, cut them up, painted them with several layers of acrylic paint. Then I drew my own chubby faces and placed them on the body. Aren’t they sweet? 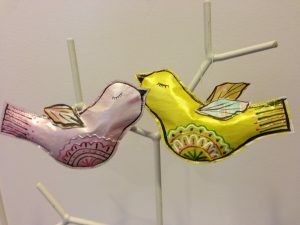 I made these bird ornaments in the same way. I drew designs on their bodies with liquid pearls. 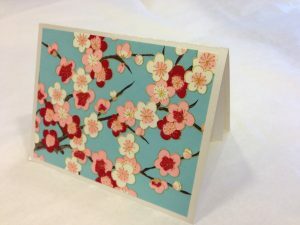 These cards were so simple to make but came out very elegant. I used pearlized card stock and envelopes and faced the cards with Japanese washi paper. 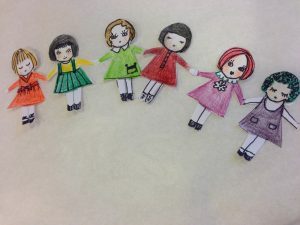 I wanted to make chain paper dolls, just like I did when I was little. It was so much fun to see to see if I can still do it. What do you think? I used the paper dolls to add to the poster I made for my salon, Studio 904. 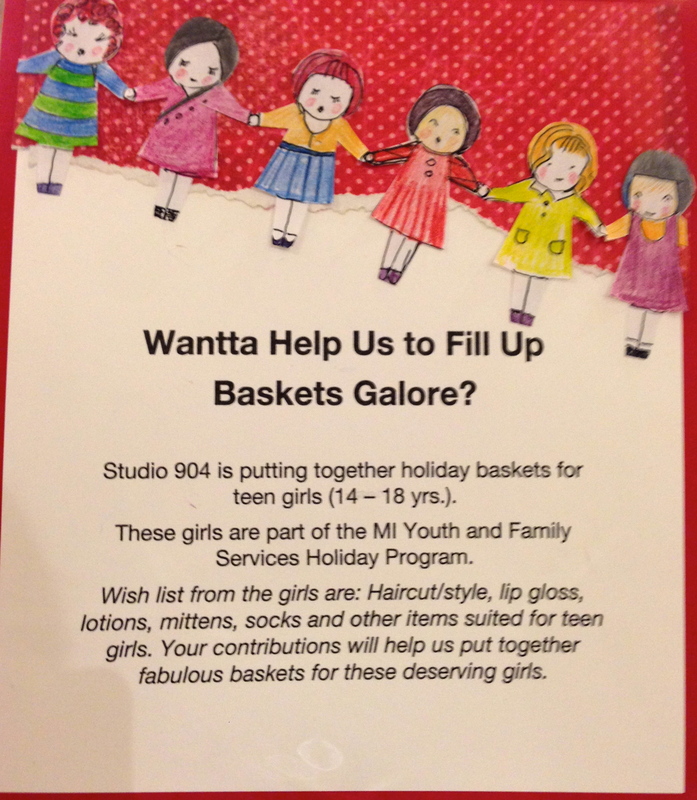 We are making holiday baskets for the girls who need a helping hand during this season. 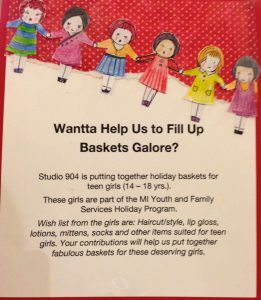 It would be fun to see their faces light up when they receive these baskets filled with socks, gloves, hand lotion, note cards (hand made) and a gift certificate from Studio 904 for a haircut and a style! Gorgeous! Everything you make comes out so beautiful.